Sugar cookies are one of the most popular and nostalgic desserts of the holiday season. And the baking process involved with making a batch of sugar cookies is half of their allure. Here, we've compiled 17 of the best tips to help you upgrade your sugar cookies from simple table decoration to delicious party-stopping dessert. When you're ready, head down to the bottom of the post for our complete sugar cookie recipe. 1. Use butter softened at room temperature, not melted butter. When we say softened butter, we mean softened, not melted. Leave your butter out at room temperature for at least an hour before you start prepping, so that you get the perfect fluffy texture when you cream the sugar and the butter together. 2. And use white sugar to ensure your sugar cookies are the right color. You want your sugar cookies to be pale and uniform so that they look even better decorated. 3. Add cream cheese to your dough to give it a slightly savory flavor. Don't worry, it won't make your cookies taste salty. Instead, it'll lend them a certain tanginess that'll complement and bring out the other sweet flavor notes. 4. Completely cream the sugar and the butter together. It should take about five minutes. To make sure you have the right texture, rub a little bit of the mixture in between your fingers. You'll know it's ready once you don't feel any sugar granules. 5. Scrape the bowl while mixing to make sure you're incorporating all ingredients in your dough mixture. When you're baking, every teaspoon of ingredients counts, and you'd be surprised how much sugar, butter, and dough can cake up on the sides of your bowl while mixing. Here's the difference when you DON'T scrape. 6. Add almond extract, in addition to vanilla extract. It'll add a certain depth of flavor that'll make your cookies taste richer and even more scrumptious. 7. And a bit of kosher salt, which will enhance flavors and balance out the sweetness. Like the other savory ingredients in this sugar dough recipe, the point of kosher salt isn't to make the dough salty, but rather to emphasize the other flavors by contrast. 8. Want to prevent browning and make your cookies snappy? Incorporate cream of tartar. Made from acidic residue left in wine barrels, this multi-purpose secret ingredient helps to control texture, prevent browning, and make cookies slightly snappier. 9. And for a flaky cookie, also make sure you don't overwork the mixture. Stop mixing the dough once you stop seeing streaks of flour. If you mix any more, you risk ending up with a tough and overly chewy cookie. 10. Keep the dough cold at all times. Once the dough is ready, wrap it in plastic film and chill it for two hours. When it's time to roll out your cookies, make sure you don't warm the dough too much handling it. If the dough gets too warm, it won't hold its shape during the baking process. 11. To get the most even dough, press on it before you even start rolling it. And again, it'll make sure you're not overworking the dough. 12. Flour the cookie cutters before using them so the dough doesn't stick. A bit of flour will help the shapes pop out of their cutters easily. 13. Position ALL your cookie cutters on the dough at the same time so the dough stays intact when you pull on each one. This'll help the dough retain its thickness. 14. Pop all your cookies into the fridge for at least 20 minutes before you bake them. By cooling and hardening the dough, you'll ensure that the cookies retain their shape when they're in the oven. 15. 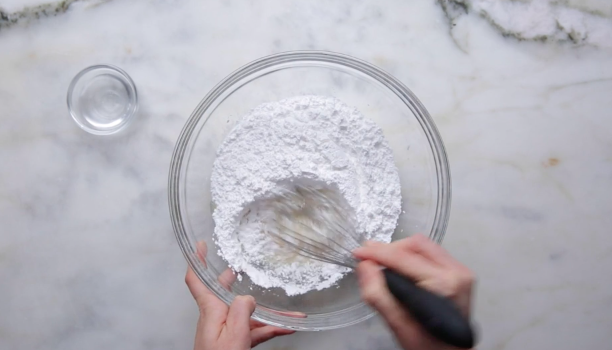 When making royal icing, SLOWLY incorporate the sifted powdered sugar into your egg whites. This will prevent lumps and make sure you have a smooth icing. And speaking of egg whites, make sure you get pasteurized egg whites so they're safe to incorporate raw in the icing. 16. 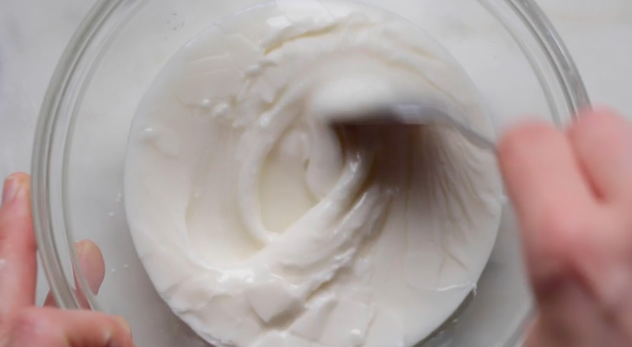 Air on the side of ~thicker~ when making your primary batch of royal icing. 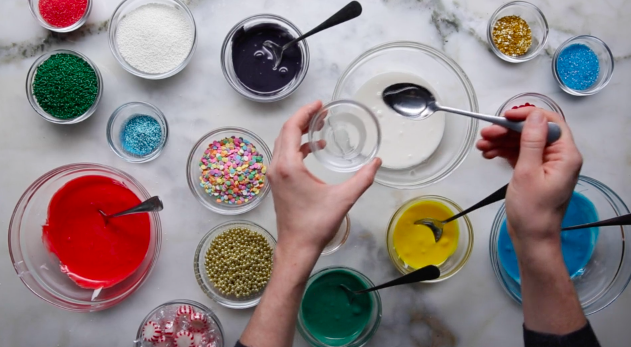 Since you'll likely be adding food coloring to your icing, and consequently thinning it out, you want to make sure you start out with a thick base. 17. Work fast with your royal icing because it'll set quickly. And if you need to thin it out, just add a little bit of water. All that's left to do is decorate. Have fun! Add the salt, then sift the flour, baking powder, and cream of tartar into the bowl and fold to incorporate some of the flour, then beat on low speed, just until incorporated and the dough comes together. 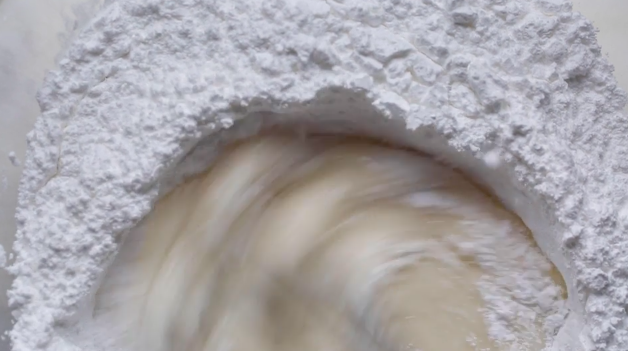 On a lightly floured surface, roll out the cookie dough with a rolling pin to ¼-inch thick. Dip cookie cutters of your choice in some extra flour and cut out shapes from the dough. Gather any excess dough into a ball, chill in the fridge to firm, then re-roll and cut out more cookies. Place the cookies on the prepared baking sheet and chill for at least 20 minutes to ensure they hold their shapes. Find more tips on how to bake the perfect sugar cookies here.